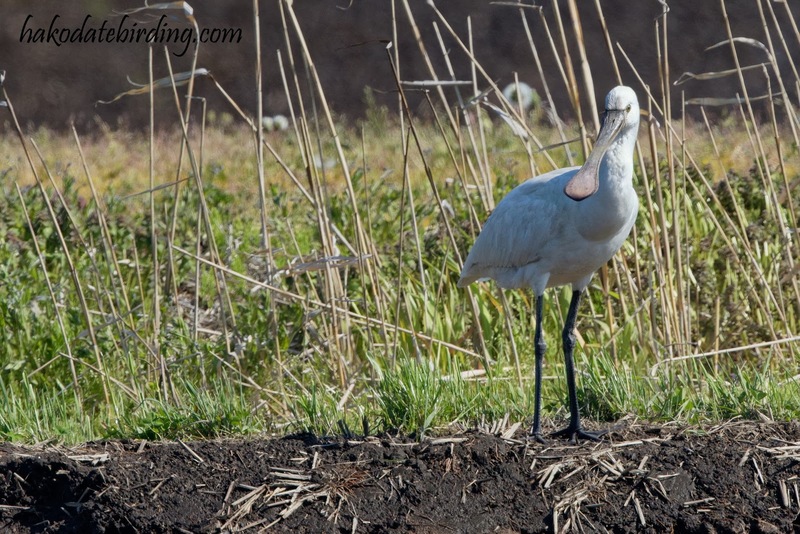 A Eurasian Spoonbill enjoying the warm spring weather in the padis outside Hakodate this afternoon. A crap picture; into the light, cropped a lot and handheld out of the car window at 700mm with my misbehaving teleconverter. It flew off as soon as I got out. This is only the 4th time I've seen this species in Japan: it's a bit scarce especially up here in Hokkaido. The light/background wasn't right for a decent shot anyway............so I tell myself. Wonderful to have seen it there as if is scare in your part of the world. Have a great week ahead.